All of the teachers at Yoga Loka are Yoga Alliance registered, either at the 200 or the 500 hour level, many in the Saraswati River lineage of vinyasa yoga. While they all come from their own unique places in life, they all share a common passion for yoga and have taken steps to "live yoga". The instructors here are trained to help students modify poses to fit your body through the foundation of Structural Yoga Therapy. They all respect your current ability and want to help you take your practice in the direction you desire. Aniko has been teaching since 2006. During her training she became more passionate about yoga and loves turning other people on to the practice she loves so much. She believes in the positive results of yoga and helps people take these teachings outside of the studio and into their regular lives to achieve more peace and balance. Aniko encourages her students to respect their body, work within their limits, follow their own path, and continue to learn and grow with joy. She strives to make all of her classes a positive and safe environment by creating an atmosphere of acceptance for everyone in the class and allowing each student the ability to become their own best teacher as they gain more awareness, focus and balance - physically, mentally and spiritually. 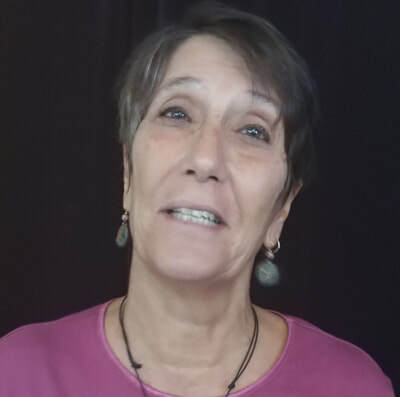 Connection to the breath and listening to one's own body while being aware of individual strength, flexibility and limitations are emphasized as Aniko guides her students through their practice with a sense of compassion and nurturing. 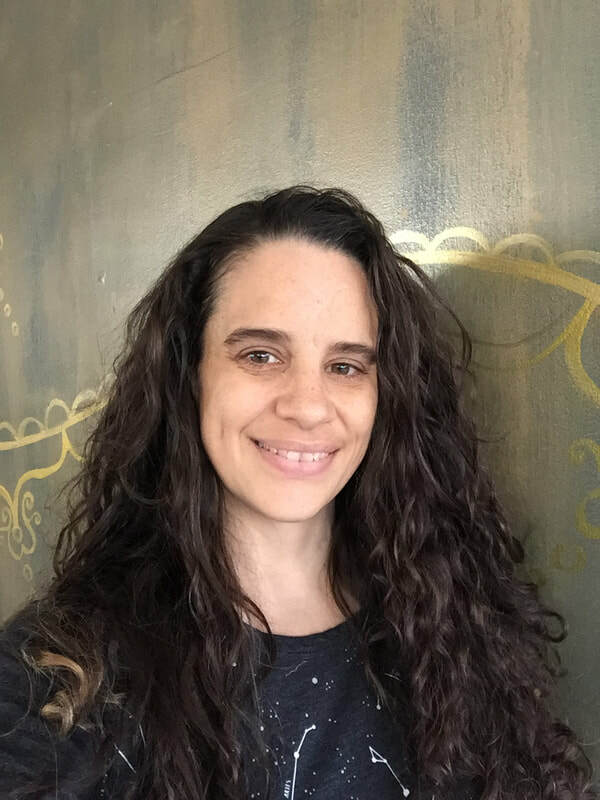 ﻿﻿Aniko received her 200 hour yoga teacher certification specializing in Structural Yoga Therapy and the Saraswati River Method from Yoga Loka in Frenchtown, New Jersey. 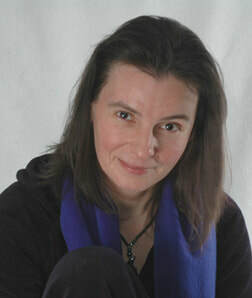 In 2008 she completed The Phoenix Rising Yoga Therapy teacher training in Bristol, Vermont. Upon recent completion of the Spanda: The Yoga of Movement 300 hour advanced teacher training in Princeton, Aniko received her 500 hour RYT designation from Yoga Alliance. Additional trainings include: Yoga for Osteopenia and Osteoporosis, Yogic Support for Autoimmune Challenges and Systemic Inflammation, and 180 hours of Therapeutic Teacher Training with Integral Yoga Institute of Princeton, NJ. "It is the most rewarding feeling when I give myself to people and make an impact on someone's life." 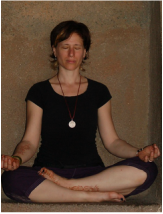 Bonnie Pariser (Amarjyothi) is the founder, director and senior instructor at Yoga Loka in Frenchtown. She began teaching Yoga in 1998 and has taught in the Frenchtown area since 1999. Bonnie took her first yoga class as a gym requirement at the Fashion Institute of Technology in NYC where she studied Fashion Design in 1985. A field trip to The Sivananda Ashram on 24th street, where her gym teacher studied, sealed her interest in the practice. It was at this Ashram that Bonnie met her future karate teacher, known for his work as “The Kirtan Rabbi”, and delved into that martial art for the next 10 years. Though a regular yoga practice took a back seat as she worked to earn her second-degree black belt, it never left her heart. “I incorporated much of the breath work and conscious movement techniques that I learned in yoga into my karate practice and teaching.” Bonnie had studied Tai Chi several years before; so the mixture of soft and hard and consciousness in motion were not new concepts. Bonnie moved to the Delaware Valley region in 1996, and finally felt at home when she met Parvathi Nanda Nath Saraswati, founder of Saraswati River Yoga and Tantric adept. The whole concept of how the physical aspects of yoga were intertwined with the spiritual aspects became clear thru her continuing studies with Parvathi. She completed her initial Yoga Teacher Training and her first Therapeutic Yoga Teacher Training at Saraswati River Yoga with Parvathi (Kirin Mishra). She continues her Tantric studies with Parvathi, completing a Bhairavi Training in 2006, and participating in ongoing studies in the Shree Vidyaa lineage. In 2005 Bonnie was certified as a Structural Yoga Therapist under the direction of Mukunda Stiles, a world-wide leader in the field of Therapeutic Yoga, and the author of the seminal book, "Structural Yoga Therapy" and “Ayurvedic Yoga Therapy”. She remained a close student until his passing in February 2014 and is honored to be able to continue to share his teachings in the Yoga Sutras and SYT (Structural Yoga Therapy). From a young age, Bonnie has been interested in understanding how the body moves, and what the implications of restricted movement is. Through her work with Parvathi and Mukunda her investigation of how the body stores emotions, trauma and joy has penetrated to a deeper level. To facilitate her own understanding and personal practice, She has also studied with Tom Myers, author of Anatomy Trains, and Bessel Von De Kolk, world leader in research on trauma and its effects on the brain and body, Dr. David Bercelli, founder of TRE, and the study of ancient and modern texts. Bonnie is a Thai Yoga Therapist, Level two Reiki practitioner, and a certified TRE® provider, trained by TRE® founder Dr. David Bercelli. Using elements of TRE, SYT and her training with Dr. Gillespie, Bonnie has developed a fascial release system called AFR (Assisted Facial Release) that has helped many become free from pain and chronic conditions. Bonnie has led more than 15 training and immersion programs at Yoga Loka and is a guest teacher in other training programs. She has taught classes at Kripalu, Integral Yoga (NYC and Virginia), the Hunterdon County Library Lecture Series, Mexico City and Playa Del Carmen, and the NYC Open Center. 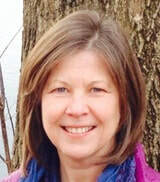 Bonnie was a member of the Integrative Medicine Team at Hunterdon Medical Center and Wegman’s Corporate Yoga Program and has offered programs at Steeple Chase Cancer Cancer at Robert Wood Johnson Hospital and the non-profit Yoga For Cancer Care program. Her teaching combines precision, playfulness, and down to earth philosophy, all extracted from the ancient lineage of her teachers and her own insights as a mother, student, teacher, and practitioner. Yoga Loka opened in Frenchtown in 2003 with the intention of providing a space for practices to be presented that can enhance the potential for self investigation and healing, on the physical, emotional and spiritual level. AmarJyothi lives in Frenchtown New Jersey with her husband Warren and her two children, Dominique, and Zachary. 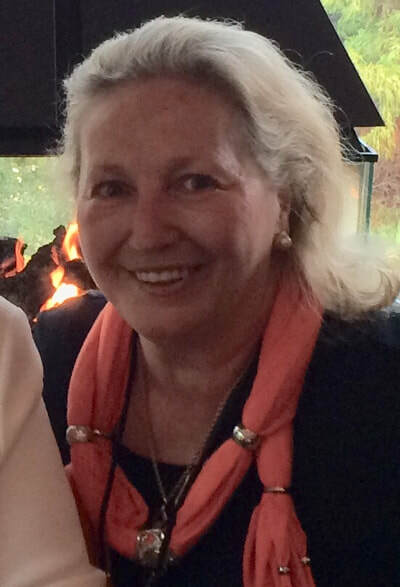 Carole Pepe spent over 25 years as a Special Educator and outdoor enthusiast. 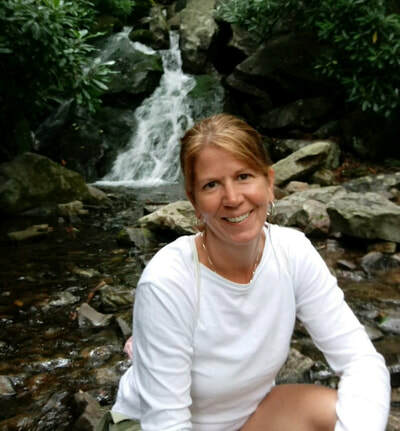 Carole found Yoga in 1998, after an injury and the practice felt like a natural fit in exploring the physicality of asana as well as the connection of the self to the natural world. In 1999, she delved into a 200 hour teacher training certification training in therapeutics and the Bharaivi tradition with Parvathi Nanda Nath Saraswati (Kirin Mishra). She began teaching yoga to children and adults at that time. After a life-altering diagnosis of cancer in 2003, yoga became prominent in the heart of her healing process. 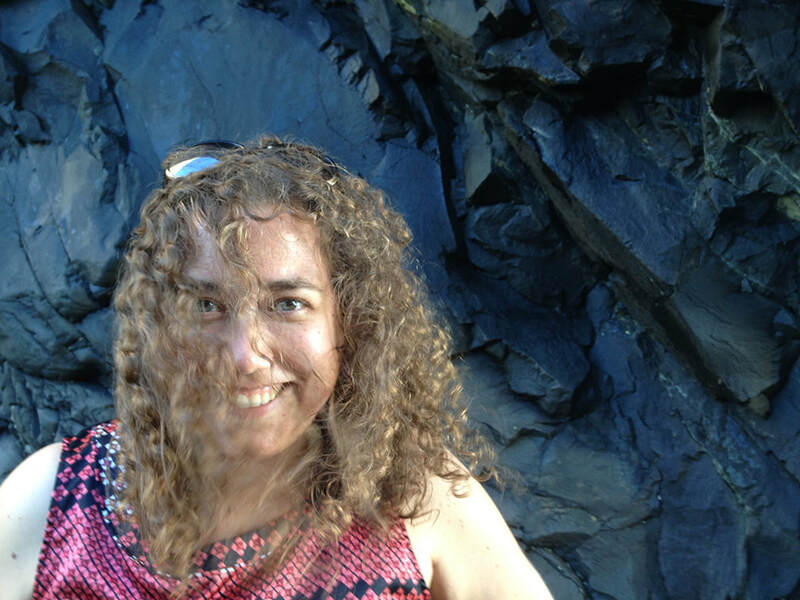 Amar Jyothi (Bonnie Pariser) at Yoga Loka in Frenchtown, NJ, became one of the principle guides in her healing journey. Carole obtained certification from OM Yoga, NYC, to teach yoga to cancer survivors in June, 2009. In June 2010, she completed the 500 hour yoga teacher training program with an emphasis on therapeutics at Yoga Loka. She founded Yoga for Cancer Care offering cancer care classes, Restore and Renew classes, and outreach programs. She is also an assistant instructor for the teacher trainees at Yoga Loka. Her intent is to share with others, especially those with cancer or chronic illness, the strengthening and healing benefits of a yoga practice that can add peace and ease to our daily lives. farming. You will often find her at the farmers markets, CSA’S and digging in the dirt in her own garden. complete her 500 hour yoga teacher certification at Yoga Loka. deepen your practice and explore the possibilities of what yoga can bring into your life. At age 70, Connie completed 500 hours of Advanced Yoga Teacher Training under the expert teaching of Bonnie (AmarJyothi) Pariser at Yoga Loka, Frenchtown, NJ. She is a registered member of Yoga Alliance. Connie’s desire to serve the ever-growing senior population inspired her to create “S.A.G.E”®️Silver and Gold Elder Yoga which is especially designed and developed for ages 65 and older. Connie is a retired career Emergency Department RN Head Nurse, devoted wife, mother of two sons and doting grandmother. Her interests include world travel, cooking, singing, dancing, and homeopathy. David is a senior student of Parvathi Nanda nath Saraswati (Kirin Mishra). 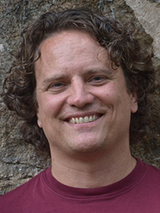 David continues to study directly with Parvathi in philosophy, yoga and Tantric methodology on the path of the Bhairavi, or Tantric adept – Parvathi’s most rigorous level of teaching offered to date. David’s interest in Yoga began as he came across the book Sivanada’s Companion to Yoga; the asanas he learned helped him to extend his dance career despite years of dance injuries and multiple surgeries. Eventually David found himself turning to the healing benefits of yoga once more; only this time he found a teacher who could take him deep into the realm of self exploration; enabling him to establish a personal practice to support his overall health and deepen his teaching. 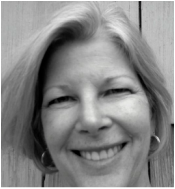 Deb discovered the benefits of yoga more than 30 years ago through asana and meditation. She has deepened her practice in the past decade through regular studies of classic Yoga texts such as the Sutras and Upanishads and daily sadhana. With a heart full of gratitude for the light that has been brought into her life as a result, she seeks to help others to discover the path of yoga. She has completed both the 200 hr and 500 hr Yoga Teacher Training at Yoga Loka, and holds a BA in Business and Marketing, English and Journalism and a Masters in Communications. Her life path has also included owning a gourmet shop and catering business and is currently director of Global Technology Public Relations for a communications technology company. ​Frances first discovered yoga in a small southern town in Louisiana in 2001. She fell in love immediately and had a desire to become a yoga teacher, yet this path took a back seat to another life path. Frances chose graduate school receiving a Master’s in Creative Arts Therapy. She used this to service many groups, both children and adults as a therapist and later as an Early Childhood educator. All through this journey Frances had an on again off again relationship with Yoga and meditation all the while it informed so much of how she approached her work with others. It wasn’t until the birth of her daughter which led her to move closer to family that she discovered Frenchtown and Yoga Loka. Frances instantly knew that it was a sign to finally pursue her desire to teach yoga and serve others in the yogic environment. Frances completed her 200 HR Yoga Teacher training with Amarjyothi in 2018 and is currently working towards her 300 HR training. Everyday Frances is more validated that this time and this place was the right moment to delve deeper into this work. Frances has not only gained knowledge of the body and the subtle energies, but she fulfilled her long hunger for a spiritual practice that resonated with her. 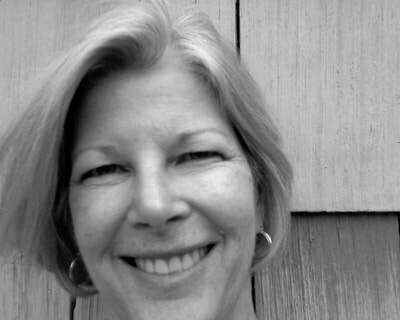 Frances brings her playful and loving energy into the yoga room accepting everyone exactly where they are. She hopes to continue working with children and adults through the new lens of a yoga practice. She believes it is never too early or too late to start and often introduces practices to her 3 year old daughter. 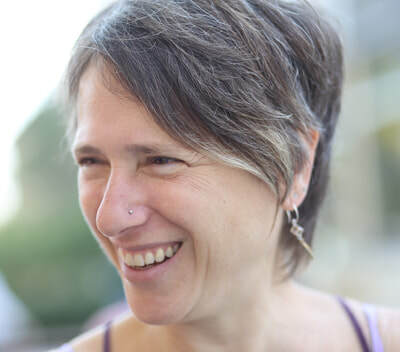 Jen takes your well-being seriously, but her classes are light-hearted and all about finding the joy of inhabiting these strange and wonderful, crunchy, cranky, graceful, gangly, pudgy, perfectly imperfect bodies we ride around in all our lives. What can you expect when you come to class with Jen? A friendly environment, a bit of (probably corny) humor, some heart-centered meditation, absolutely no judgments, and plenty of space to really make the practice your own. She wants to help you slow down, chill out, and get out of your head and into your body. A creative director by day, Jen got serious about yoga in 2011 in an attempt to recover from a high-stress job in advertising; she completed her 500-hour training at Yoga Loka in 2019, drawn here by Amarjyothi’s deep knowledge of Structural Yoga Therapy and the emphasis on thoughtful modifications of poses to make each asana work for every student. All of Jen’s classes are welcoming to LGBTQIA+/nonbinary/GNC folx and people of color. 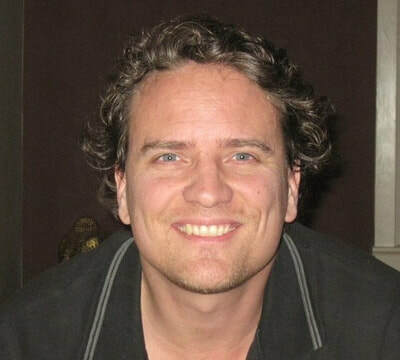 John began his practice of yoga in 1996 taking a series of multi week asana classes offered by a local wellness center. To get more guidance between sessions he turned to texts on yoga and discovered the rich philosophy and metaphysics behind the tradition. In 1998 he moved back to Bucks County and took his first class with Parvathi Nanda Nath. Before the first class was over he knew he had found not only his asana teacher but also his spiritual guide. Later that year he joined her first teacher apprenticeship program and began teaching in the SRY (Saraswati River Yoga) tradition 1999. John has continued to deepen his studies of Yoga and Tantra under the direction of Parvathi Nanda Nath. His passion for learning and the joy he gets from passing along what he has understood is a daily reminder of grace that led him to that first class in 1998. He is eternally grateful for Parvathi’s continued guidance and support through the years. Meaghan earned her 200-hour teacher certification program with AmarJyothi in 2018 and is currently working towards her 500-hour certification. She has lived in this area most of her life, moving to Hunterdon County in 1976. The three loves of her life are her children, yoga & the beach! She enjoys hiking & kayaking. ​Yoga has been an important part of Meaghan’s life helping her grow stronger, more flexible and more courageous, both on and off the mat. Yoga has taught her how to look within herself, to self-regulate and has supported her spiritual and physical well-being along her journey. Meaghan’s yogic path has inspired her to live each moment more mindfully and her intent is to bring this inspiration and support to others. Through alignment of the mind, body & spirit, she believes a balanced life can be achieved, “one day at a time”.